Within the general career field of accounting, there are many diverse specialization options for students seeking variety with their degree program. Accounting can be conducted in many settings and provide goals for companies with interests in providing more efficient workplaces, manufacturing programs and even accurate financial maintenance. It is possible to enter the field of accounting administration by earning either an associate's degree, which takes about two-years, or a bachelor's degree, which usually takes four years to complete. By teaching general office skills with a focus on accounting methods, these degrees prepare students to work in accounting departments for companies of any size. Accounting administration coursework includes modules on business finance, business law, accounting, and management. Seton Hall University's M.S. in Accounting (M.S.A.C.) is a 100% online accounting program that can be completed in can be completed in 12 – 24 months. When you earn your M.S.A.C. Online from Seton Hall University’s Stillman School of Business, you will develop the professional skills you need to excel in the world of professional accounting. This program is among only 1 percent worldwide to earn both business and accounting accreditation from the AACSB. Accounting @ Syracuse gives you the opportunity to earn a Master of Science in Professional Accounting online without relocating or leaving your full-time job. GMAT/GRE waivers are available for applicants with five or more years of experience. Learn More. One interesting degree specialization for new students to consider is that of accounting administration. This type of concentration can help students prepare for specialized careers in businesses and organizations with large numbers of employees with diverse financial and work-related needs. Accounting administration as a career can include providing internal information to companies that can assist in providing a stable and efficient workplace environment. Some of the general practices of accounting administration professionals may include payroll services, creating financial reports and providing insight into better management practices. Accounting careers in this aspect could be a great option for students interested in both the financial and business-oriented components of accounting careers. This guide was created by our team of educational experts in order to give you an idea of what to expect in terms of degree programs for this major and the potential careers that can follow. Read more below to learn about this incredible accounting specialty. What Are Some Common Accounting Administration Courses? Reviewing colleges that provide educational programs in administrative accounting can be a great first step for upcoming students interested in this career field. As you review the different programs, you may find that there are significant differences in the curriculum of each program. Our team of experts reviewed some of the most preferred educational programs for upcoming administrative accountants in order to pull some of the common topics found within each. The courses listed below may be some that you can engage in after choosing your program. The implementation of technology in the field of accounting may have brought more accuracy and ease of processing to professionals in the field. Since this is such an important part of accounting in present-day, students taking courses in these degree programs may be introduced to the different variations of accounting programs available. Also, students in this administrative program may also take courses relevant to standard business practices in the U.S. This can allow for more general business knowledge, which can improve a professional’s ability to make progressive decisions in a business environment. This new generation of accounting professionals can be introduced into a wide range of technology-based accounting programs to use while engaging in their daily duties. 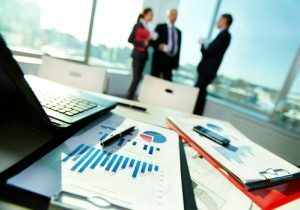 This course can provide students with instructions and details analyses of computer-based accounting programs, how they are used in the business environment and methods for interpreting data from these systems. More and more professional organizations are implementing these programs as a means for accurate financial record keeping. In order to be an effective administrative professional, students must understand the laws and regulations pertaining to common business practices. Throughout this course, students can learn more about lawful business practices, fair treatment of employees and the financial regulations pertaining to organizational efficiency. This course can be a great introduction to the field of accounting as it relates to common business. As of the primary duties of accounting administration professionals, payroll accounting may consist of providing accurate financial records of employee pay histories, salaries and federal tax information. The use of software for this method of accounting may be covered throughout this course, as well as the methods for reviewing records for accuracy and minimizing errors in financial systems. How Much Can You Make With An Accounting Administration Degree? Management Analysts: $82,450 on average per year (BLS). Budget Analysts: $75,240 on average per year (BLS). Accountants and Auditors: $69,350 on average per year (BLS). As an accounting administrator, your daily duties may include a list of diverse tasks that can help increase your organization’s efficiency. Part of the role of accounting professionals is to ensure that their company’s financial records and accurate, contain an ample amount of information and providing insight into the improvement of financial systems under their care. Most accounting professionals may work with a team of other accounting specialists in a daily basis, while others may work independently for many different companies. Working in a team in accounting can allow professionals to gain a more diversified and objective outlook on their organization and its properties. If you are interested in learning more about what is included in this career path, read more in the list of responsibilities below. Degree programs focusing on administration and accounting can assist you in gaining skills relevant to these duties. If you pursue a career within this field after completing a degree program, you could be a determining factor in how well companies perform in terms of financial preparedness and tax reporting. Accountants in this profession may be responsible for reviewing current financial records for errors and accuracy. This responsibility is vital for ensuring reliable records within organizations for tax reporting and ethical practice. This duty may be paired with many others as the primary duties of accounting administrators. In order for accounting professionals to engage in lawful and accurate practices, they should be up to date on the latest tax laws and regulations present within the field. This can assist them in providing supporting services to upper management during program planning. Administrative accountants may also focus on the inner finances of organizations providing products or services to the public. Payroll services can include maintaining employee payment records, tax withholding and relevant employee financial data. This service can assist companies with managing their income and expenses in a way that can promote business success. Tax preparation can be a diverse and complex task for accounting professionals. In this duty, professionals must have access to all income and expense data so that they can properly prepare tax information for the company in which they work. Accuracy of reporting is vital to preventing penalties and fees being assessed to the accountant’s organization. One duty of accounting administrators that varies from traditional accounting careers is providing management advice to the companies they work for. This may include providing financial reports and data pertaining to the pay of employees, costs of production and outlook for the future. Accountants in this line of work can assist during important decision-making meetings with members of the management team. What is the difference between general accounting and accounting administration? General accounting is primarily focused on providing accurate financial recordkeeping to companies. This career field can be diverse and include many general aspects of accounting, while accounting administration may include many goal-seeking activities. As an accounting administrator, professionals may use financial data to make suggestions for more efficient administrative management within their organizations. What type of work experience could complement this degree program? This degree program does not require any specific career experience. However, students with a background in business or accounting could pull from their experience to better understand the terms and topics outlined in this degree program. Can this degree lead to management positions? Since this degree program is highly-focused on improving accounting systems and information within organizations, it could be a great option for those hoping to obtain management positions in their future. This degree program can provide students with analysis skills, suggestive improvement planning and even experience with reviewing the work of others. Some of the most important aspects of college degree programs may be the reliability of the degree program, the cost of attendance and the time it takes students to complete the program. If you have read through this guide and feel like you could be a great fit for the field of accounting administration, you should review some degree programs that could assist you in obtaining this goal. Your choice of university should include a deep review of colleges’ educational programs, costs and other factors you seek within your chosen program. The cost of a college education may be continuing to rise as the years progress. If you are ready to begin your educational program, there is no better time than the present to engage in a degree program that can set you on track for success for the rest of your life. Tuition rates can vary depending on the level of degree program you are enrolling in, with associates programs ranging from $20,000 to $35,000 for the entire program. 4-year bachelors programs can average anywhere from $30,000 to $60,000 depending on your school. Check out the specific programs below to see some of your options for obtaining this type of career. The time it takes to complete your program can also be very different depending on where you enroll. From a generalist standpoint, associates and masters programs typically require around 2 years for completion, while bachelors programs typically consist of a 4 year educational requirement.